Forces continue search for Jerusalem stabber as police rule out criminal motive. 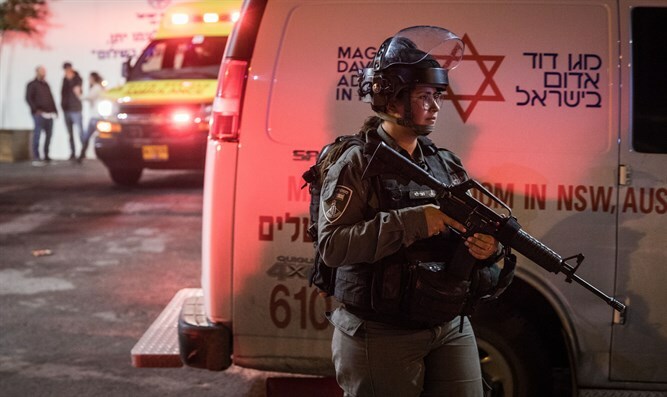 Following the stabbing incident at the entrance to Beit Jala near Mount Gilo in Jerusalem, Israel Police have concluded the attack was motivated by "a nationalistic background". Security forces continue their operational and intelligence efforts to locate the suspect. A 30-year-old man was lightly injured in this afternoon's stabbing incident, and police and IDF sought to determine whether the attack was politically or criminally motivated. Religious motivation for murder attacks is subsumed within the political category and is generally downplayed in government and media. The stabber fled the scene as MDA teams gave initial treatment to the victim. They evacuated him to Shaare Zedek Medical Center where he is being treated for internal injury.